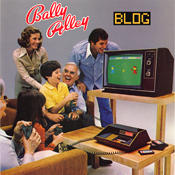 Welcome to Bally Alley, one of the precious few web sites dedicated exclusively to the Bally Astrocade computer/console. This site is a treasure trove of information for all Bally Astrocade owners, users, programmers and collectors. Every user should read this heat warning, then read this Bally Professional Arcade (Astrocade) introduction and background by Bob Fabris. Now sit back and take some time to explore this site. Hardware, software and newsletter FAQs. Links to other Bally related sites. Astrocade Machine Language Programming Astrocade Newsletters. 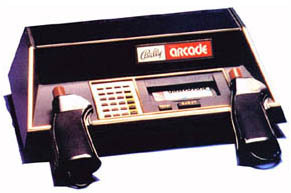 Check out these pictures of rare Bally Astrocade items. Download programs for use with various forms of BASIC and some machine language programs too. 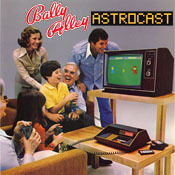 The Bally Alley blog covers current Bally Arcade/Astrocade community news and whatever else strikes the fancy of Adam, the Astrocade fan who brings you the BallyAlley.com website. There is an active Astrocade discussion group over at Yahoo Groups. Why not come by and say hello?